Whether starting out on your first fitness journey or already a regular sweating it out at the gym, SOL REPUBLIC Relay Sport Wireless earphones provide the ideal Christmas gift for fitness fans to kick start their regime ahead of the New Year. SOL REPUBLIC Relay Sport Wireless is designed to be comfortable to wear for hours while having a secure fit, up to 8 hours of play time, full range high fidelity sound, quick charge technology, microphone, music controls, sweat and water resistance, and a special outdoor sound mode. 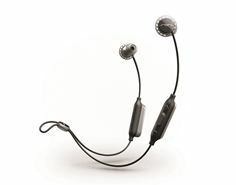 SOL REPUBLIC Relays Sport Wireless features award-winning FreeFlex™ secure fit technology including an ultralight ear bud design that adapts to any ear size without the need for complicated parts or hooks which wrap around your sensitive ear. The result is an ear bud that stays in, won’t fall out and is comfortable enough to use all day even when you’re not working out. Relays Sports Wireless features SOL REPUBLIC’s signature deep bass and crisp sound that brings out all the emotion in your music. For outdoor exercise where the bass from your music is harder to hear over outdoor noise or the pounding sound of impact sports like running, Relays Sport Wireless features an outdoor sound mode that increases the right amount of bass so everything sounds just right again. SOL REPUBLIC is a global consumer electronics and music lifestyle brand dedicated to enhancing people’s lives through style, sound, and technology. Comprised of music fanatics, SOL REPUBLIC designs its products from the ground up to look, sound, and feel unlike anything else in the market. To request a sample or high res image, please contact homedics@kaizo.co.uk or call 0203 176 4700.